​Become a member now ! ​Each year on the first Saturday of November, CASI holds the ultimate celebration of Chili. 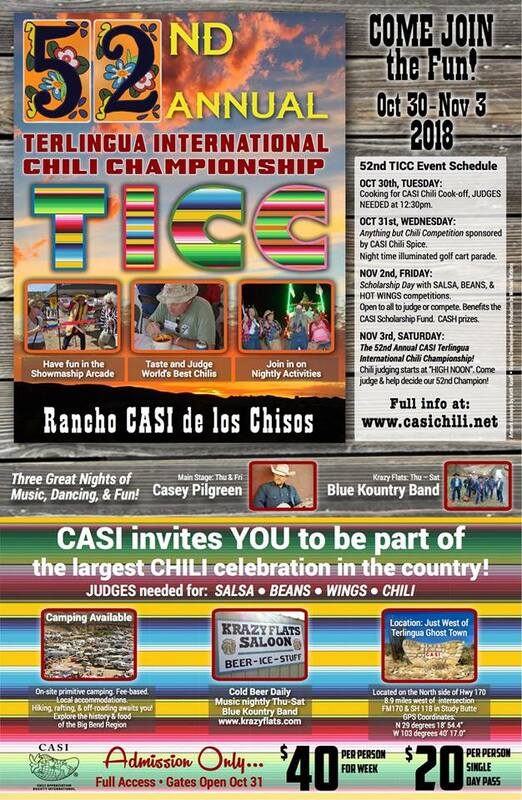 This granddaddy of all chili cook-offs is held at Rancho CASI de los Chisos in Terlingua, Texas. Rancho CASI is located on the North side of Highway 170, eleven miles West of Study Butte and 7 miles East of Lajitas. The four day celebration begins each year on Wednesday before the big weekend and culminates on Saturday with the Terlingua International Chili Championship©. It's a Texas tradition of epic proportion. 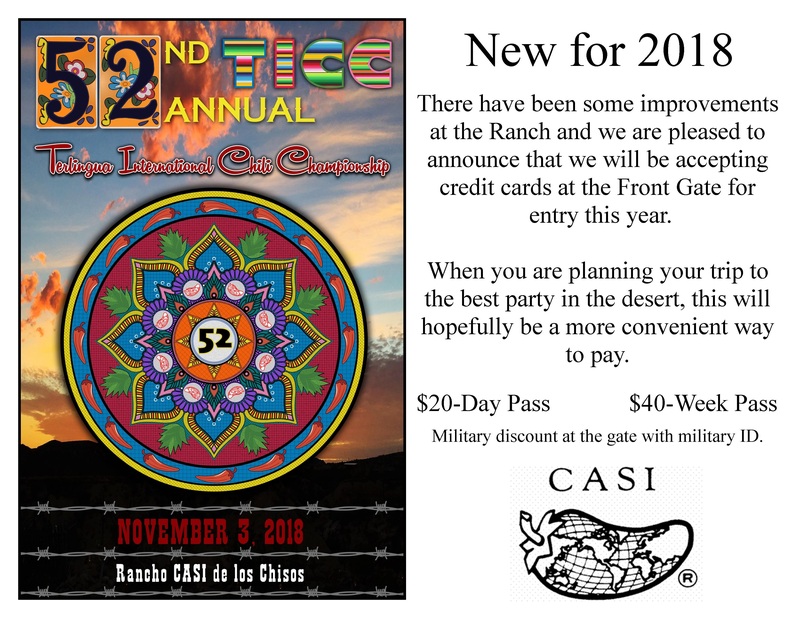 Everyone is welcome to come and enjoy the celebration, the unique vendors, the showmanship, the rugged Big Bend area terrain surrounding the ranch, and of course ……..the chili!